This house design is for a large town house, offering an incredible 319 square meters of floor space on ground floor and 129 square meters on the upper floor. The design for this house offers plenty of space for living, including a living room, a large kitchen and dining room, a TV room, family space, as well as five large en suite bedrooms. 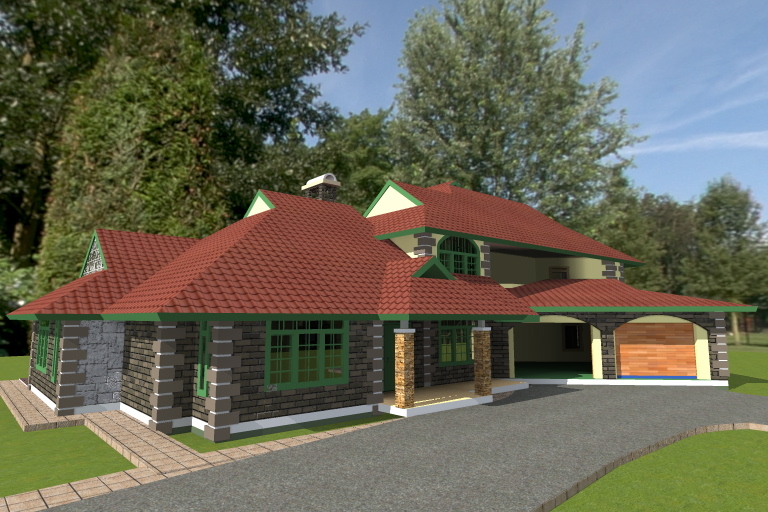 With overall dimensions of 25.4m x 18.4m, and a total floor space of 448 square meters (4820 sq.ft) this house plan is well suited for that quarter acre or larger property. Thank you for your suggestion. The thing is every project is totally different. 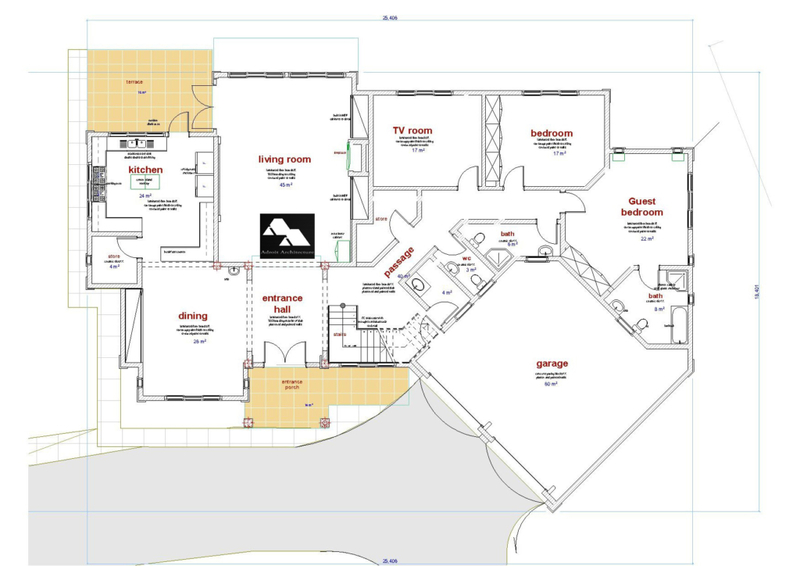 Even when we sell a house plan, many clients ask for changes and each house plan has to be tailored to the needs and budget of the client. It is not possible to give fixed rates because of this. Some clients only want the plan while others are looking for an end to end solution, including bring in all the other consultants, dealing with approvals and the actual construction process. We are a phone call/email away and always ready to give you all the details you need based on your needs. Hi Chola, I like the 5 bedroom concept/plan. 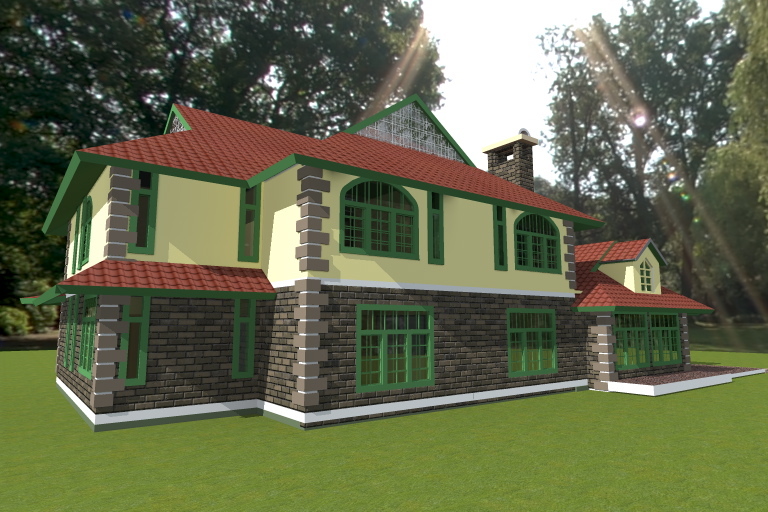 I am looking at building one upcountry. Space is not an issue. I would like to add a laundry room with washer and drier. Could you send me a quotation for drawing and estimated cost. All rooms ensure and heating system. Hi Chola, I like the 5 bedroom concept/plan. 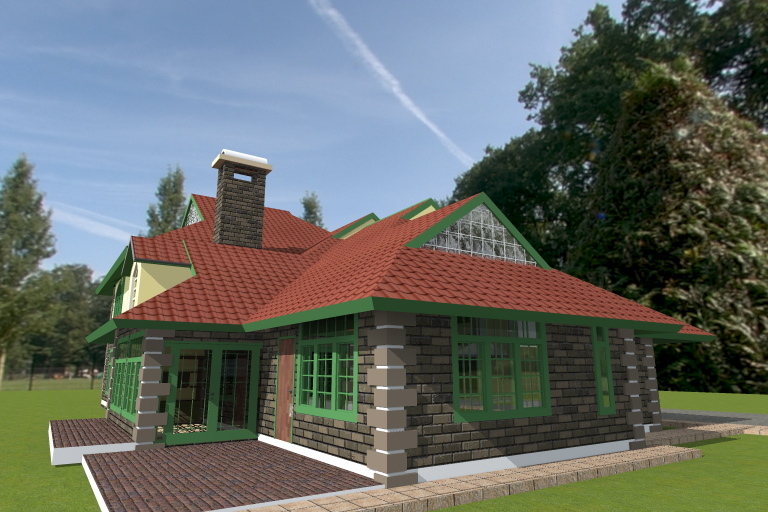 I am looking at building one upcountry. Space is not an issue. I would like to add a laundry room with washer and drier. Could you send me a quotation for drawing and estimated cost. All rooms en suite and heating system. 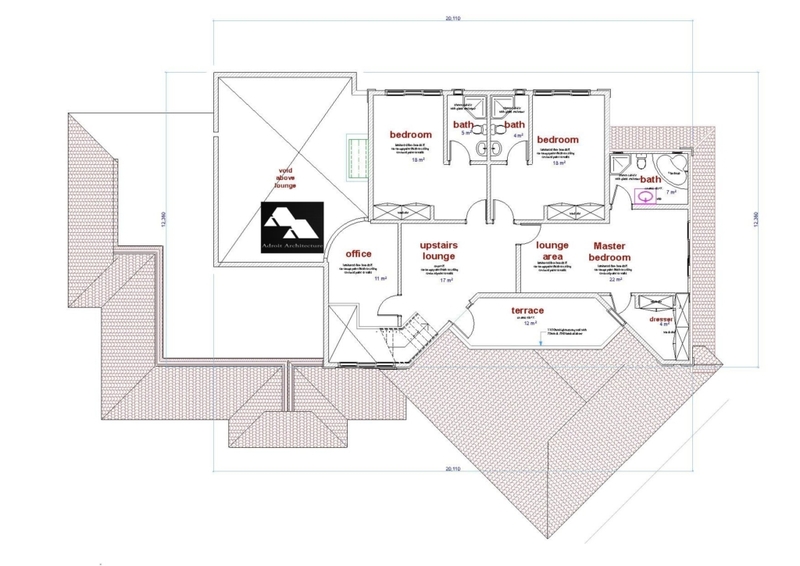 We can definitely make the necessary adjustments to this plan to add a laundry room and ensure that all room are en-suite. We will work with a Mechanical Engineer to identify the best heating system solution for your home. Check your email for more details and thank you for considering our services. I came across your website while looking for a house plan to build in Kenya. How does one make contact with you? Could you please send me cost estimation for this house? I have been so impressed by the work that your doing. Thanks for giving advise to most of us who are not knowledgeable about these building concepts. Check your email Ian. All details sent. 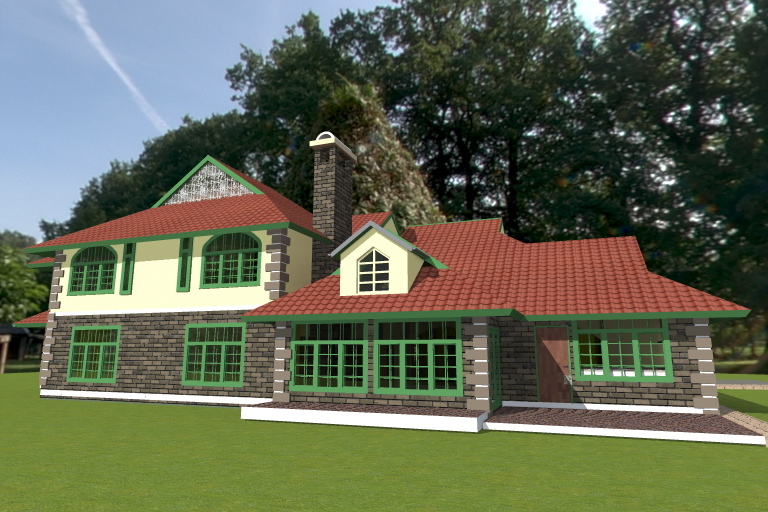 Send me some samples of a 3bedroom house that can be built on a 40*60 plot.. construction cost + the cost of the plan. Kindly check your email. 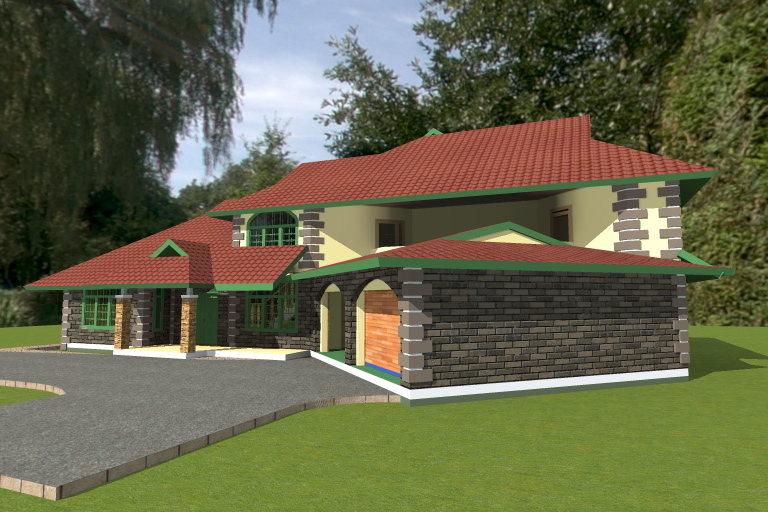 I have sent you all the details regarding this house plan. What is the cost of building this house in mombasa. I hope you got me email with all the details. Detailed email sent to you. Kindly check your email. I have sent you all the details on this house plan.